Courtney Garza - Shark In Heels, Inc.
Courtney Garza is a media enthusiast that is constantly chasing opportunities to get more involved in the community. Plugged into the growing vegan scene, Courtney co-founded The Harvest Hands – a venture to create fun, educational, and delicious events that shed light on the plant-based lifestyle that she’s built with her other half, Zak Shelton. Courtney promotes the startup life with her involvement in event coordination in the Dallas local entrepreneurial community and anything involving innovation. 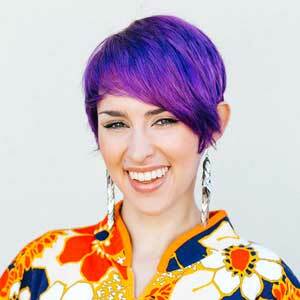 You can often find her at unique events around Dallas and the nation, as she spreads the word about just how truly fun, delicious, colorful a plant-based lifestyle really is!